Our life is a sharing in Christ’s own prayer. Through the daily celebration of the Eucharist, Jesus himself refreshes and strengthens us. He unites us in love to Himself, each other and the whole world. It is the well-spring and summit of our day. The Liturgy of the Eucharist is continued by the official Prayer of the Church when we gather, seven times during the day, to worship and praise God through psalms, hymns, scripture readings and intercessions. Liturgical Prayer enriches personal prayer and both blend together in our lives. Knowing ourselves loved unconditionally by God is the only foundation for real prayer. It does not depend on our feeling this love but on our believing in it by faith. Deep communion with God, each other and all of humanity is the Christian ideal. 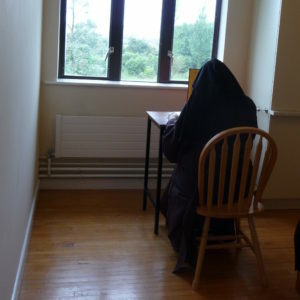 Our Carmelite life is our expression of this ideal in faith, hope and love. St. Teresa set aside two hours daily, one in the morning and one in the evening for silent, personal prayer. 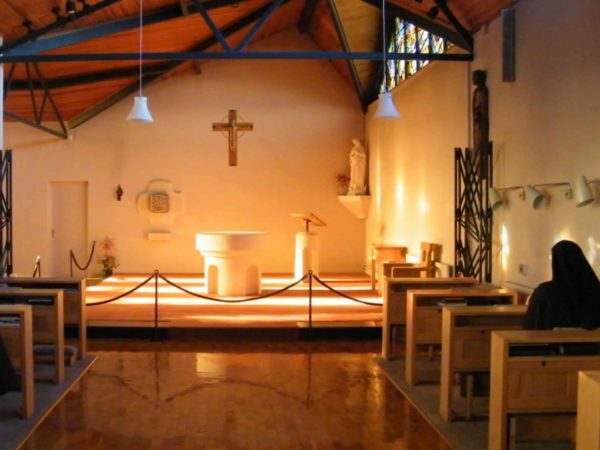 Prayer in Carmel is not a self-indulgent luxury – It is always ‘other’ orientated – towards God and humanity. Bearing the whole human family in her heart before God, the Carmelite’s apostolate of prayer transcends time and space.